During excavation near Sixth Street and Eighth Avenue in Park Slope — the site for NewYork-Presbyterian Brooklyn Methodist Hospital’s new Center for Community Health (CCH) — about 30 large boulders were removed from the ground and donated to the Prospect Park Alliance, according to a release from the hospital. The park plans to use these transplanted pieces of quartz granite for its Parks without Borders initiative. According to Christian Zimmerman, vice president of capital and landscape management for the Prospect Park Alliance, the Parks without Borders plan includes adding a new entrance to Prospect Park on Flatbush Avenue, where the boulders will likely be placed long term. “The boulders donated by the Hospital are an exact geological match for the rocks in Prospect Park because they come from the same terrain and appear identical aesthetically to what has been in the Park for 150 years,” said Zimmerman, who worked with the hospital’s construction manager to organize the transportation of the massive rocks to the Park. NewYork-Presbyterian Brooklyn Methodist Hospital has a longstanding partnership with the Prospect Park Alliance. Lyn Hill, vice president for communication and external affairs at the hospital, recalled that “in the 1990s, the hospital provided a geological transplant when boulders were sent to Prospect Park during excavation of the hospital’s current Medical Office Pavilion on Seventh Avenue.” Those boulders were used in Prospect Park’s Woodlands Project. 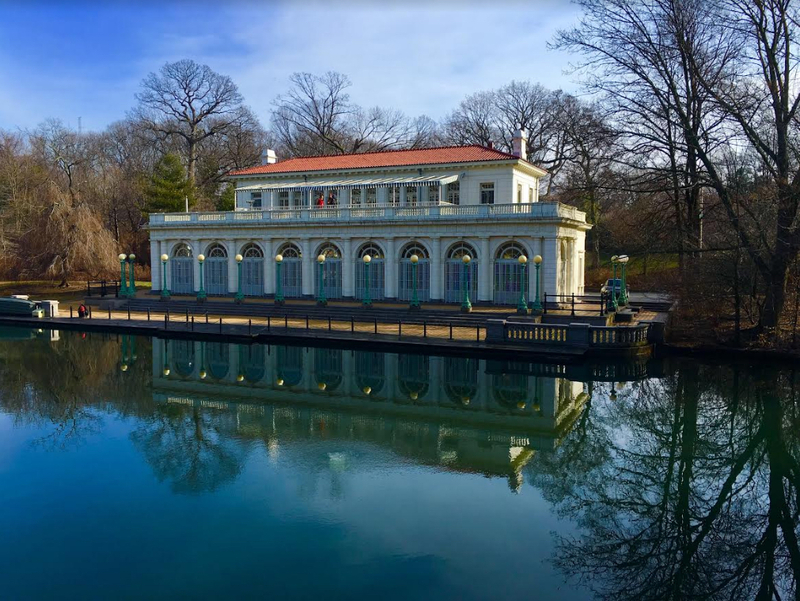 NewYork-Presbyterian Brooklyn Methodist has also sponsored a number of Prospect Park initiatives, most recently the Connective Project, a public art installation that was part of the park’s 150th anniversary celebration.